If we are to believe candidate Marco Rubio’s comments during an Oct. 24, 2010 debate, it seems the Florida senator’s views on immigration reform have ‘evolved’ quite a bit since taking office. During a debate with opponents Rep. Kendrick Meek and Gov. Charlie Crist, candidate Rubio argued that giving illegal immigrants an “earned path to citizenship,” which Crist, Sen. John McCain and former President George W. Bush had advocated, is basically amnesty. "First of all, earned path to citizenship is basically code for amnesty. 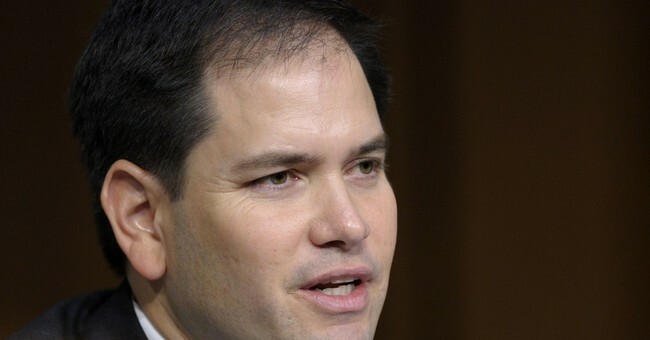 It's what they call it," Rubio said. "And the reality of it is this: This has to do with the bottom line that America cannot be the only country in the world that does not enforce its immigration laws. It is unfair to the people that have legally entered this country to create an alternative pathway for individuals who entered illegally and knowingly did so." "If you do that, you will never have a legal immigration system that works," he continued. "No one is going to follow the law if there is an easier way to do it." Rubio, who won that 2010 election, is now the leading Republican in the U.S. Congress pushing for illegal aliens to be given the earned path to citizenship that he himself insisted was "code for amnesty" only three years ago.